It is easy, you already have! Just kidding, we know that you know that our moving company is reliable beyond reprimand, but what you can do when you for any reason whatsoever have to use the services of a different moving company. How do you find a reliable moving company that will help you start a new life and avoid all the unpleasantness of moving to a different city, country or continent? Continue reading if you would like to learn how you can distinguish a reliable moving company from the one that cannot be trusted. You know someone who has recently moved? Good. Their experience will come in more than handy when planning your move. Talking to your friends will be more than beneficial, and you will learn a lot by following their example or avoiding the mistakes they have made their move. Make sure you talk to friends about their move and ask them what they think they could have done differently. True friends will help you with honest advice, and they might even recommend a reliable moving company. In addition to that, they will also give you advice on the moving companies that you should avoid. It is a good and trusted way to find a reliable moving company, but sadly sometimes you are moving to a part of the world where you will not have your friends to rely on. When you are moving to a part of the world where you do not have friends to rely on, you will have to rely on your resourcefulness and your common sense. Many of the people who move, will look for moving agencies or companies through the web and this method is very recommendable. Yes, there can be some comments which are paid, but for the most of the time, the comments section will give you a great idea of what you can expect from the moving agency or company. If you are looking for a reliable company, look at their reputation. You will surely find a reliable company in no time. Do not believe everything you read online! It is the first rule of using the Internet! Of course, this applies to all segments of life, but when talking about moving companies what we have in mind is the reliability and the reputation of the company. In addition to that, you must also double check all the terms and conditions of the move. Do not leave anything to chance and do not make oral arrangements. Put everything on paper and make sure that the company whose services you are using is reliable and dependable. It will take so many worries off your shoulders, and it will make your moving situation a lot easier on you. It is why it is of such importance to pay special attention to the information you are being fed so that you make sure they are not some imposers who will steal all your property, but an actual moving company. In case that you are relocating from or to Alberta, you are most definitely eligible for asking the moving expenses refund. We will explain in the text that follows, how you can do that and make it easier for you financially to endure all the expenses that come with the move. If you finally are prepared to move, then you also need to know that in addition to moving expenses you will also have many additional expenses that are required when you are moving to a different country or city. Lucky for you, those who are relocating to or from Alberta are in a privileged position and have the chance to apply for moving expenses. The funds are sufficient to help you out with the move, but it is highly unlikely that they will cover your expenses absolutely. As for the procedure of claiming the funds based on your moving expenses, it is not at all difficult. First you must have all the paperwork ready before applying and you will wait anywhere from 7 to 14 work days to find out whether you have received the funds. The majority of applicants that fulfil all the necessary requirements definitely get the funds which the state gives. Also, you must take into consideration that any lack of paperwork will only prolong the procedure, so it is in your best interest to gather all the paperwork beforehand. You also have the option of applying online, which will save you from having to go to the offices where the clerks work. It is pretty simple to apply online, all you need is scanned documents and some patience. We also offer our services of applying instead you, so even if you are no computer wiz or do not have enough time to visit all the offices, we can get it done for you in a matter of days. Our services cover this option, so we are experienced in this area as well. We will also notify you of the outcome and we can arrange for the transferal of funds to whatever cause you want. Some of our clients have used the said funds to pay for our services or get a new home interior in the new place where they will live. Moving your things can be rather frightening for people with a lot of expensive porcelain. All jokes aside, how can you make sure your fragile possessions are safely transferred to a new location, especially when you are moving to a distant location? 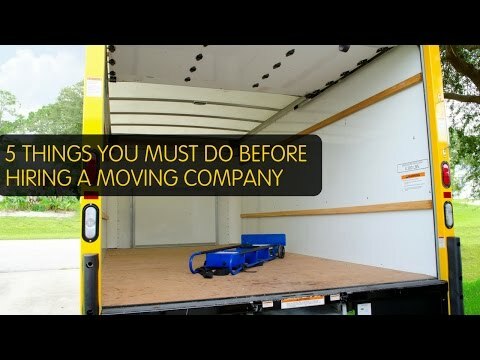 Well, lucky for you, we have the proper advice that will help you make that move one of the easiest things you have done in a long time and all that it requires you will read here. First of all, you have to make sure you have prepared everything with care and attention to detail. Good preparation is half of the work that you will be doing while moving. Good preparation involves getting all the necessary supplies and making sure that you have an elaborate plan of how you will pack things. Also, it does not hurt to have someone join you on this adventure, but make sure that all of them are following the same rules. You need plenty of boxes, bags, plenty of wrapping paper or newspaper, plastic wrappers, highlighters and labels or markers. You will also need to learn how to be resourceful and intelligent about wrapping the most fragile of items. Let’s take the example of the kitchen items. So, we have plenty of dishes, but also glasses and God forbid you would put it in a box without any protection, or together with kitchen utensils because you might as well say goodbye to your dishes and buy new ones. Instead, what you want to do is make the most of the situation. So first grab a box that is compact enough, so that the dishes will fit into it and then just use the barriers such as paper, cardboard or plastic to separate each one and make it safe for transport. In addition to that, you can also make the most of the situation by separating them with kitchen towels. They will also need to be transported somehow and using them in this way will save you space while packing. For the most prized possessions, such as your grandmother’s soup bowl, you will have to use a slightly different tactic. Make sure you get a box that is filled with material usually used for transport or even send it to yourself via post. Sometimes it is better to pay special attention, rather than regret losing a valuable item due to the hurry which is bound to happen while moving. Always make sure everything is packed safely and make sure you label all the boxes. This way when you are unpacking, you will already have the idea what goes where and how to unpack. Also, a neat hack for packing your books that are in the book cupboard is to pack them precisely how they are in your room and unpack them in the same order. You can also take pictures with your smartphone so that you can put everything into its original place.